Of the more than 2 billion people who lack potable water at home, 263 million must travel 30 minutes per trip to collect it. “Potable water” simply means water that is safe to drink, and it is becoming scarcer in the world. Increasing use is stressing freshwater resources worldwide, and a seemingly endless list of contaminants can turn once potable water into a health hazard or simply make it unacceptable aesthetically. Of the more than 2 billion people who lack potable water at home, 844 million don’t have even basic drinking water service, including 263 million who must travel 30 minutes per trip to collect water. 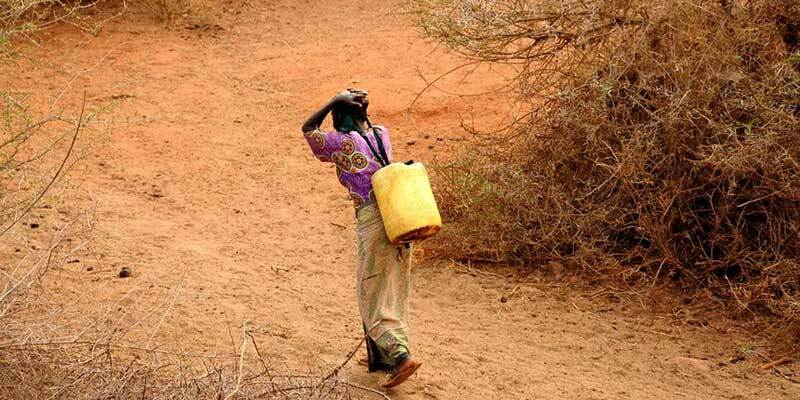 About 159 million drink untreated surface water. Unsafe drinking water is a major cause of diarrheal disease, which kills about 800,000 children under the age of 5 a year, usually in developing countries, but 90 countries are expected to fail to reach the goal of universal coverage by 2030. What Makes Water Unsuitable for Drinking? The World Health Organization (WHO) organizes potable water contamination as organic, inorganic, radiological, and microbiological, and includes measures of acceptability of taste, smell, and appearance. Organic contaminants are carbon-based chemicals, including solvents and pesticides, which are introduced through agricultural runoff or industrial discharge. They can be responsible for a range of severe health problems from cancer to endocrine function disruption. Radiological threats include radon, cesium, plutonium and uranium. In North America, radon is the leading cause of lung cancer in nonsmokers and the leading environmental cause of cancer mortality overall. Inorganic pollutants, such as mineral acids, inorganic salts, metals, cyanides, and sulfates, persist in the environment. Heavy metals can cause neurological problems in humans, especially in the unborn and children, and also bio-accumulate in some foods. Arsenic can cause cancer, skin lesions, cardiovascular disease, diabetes, and cognitive impairment. Algal blooms from nutrients like phosphorus and nitrogen can also introduce cyanotoxins to drinking water as well. Waterborne pathogens including bacteria, viruses, protozoa, and parasites are usually introduced to water via feces and can cause a range of illness from mild gastroenteritis to potentially fatal diarrhea, dysentery, hepatitis, typhoid fever, cholera, and cryptosporidiosis. Millions are also infected with waterborne tropical diseases that include trachoma, the most common cause of preventable blindness. Also threating drinking water are so-called “emerging contaminants” or “contamininants of emerging environmental concern,” which include pharmaceuticals introduced through sewage and runoff from livestock operations. Turbidity (lack of clarity caused by mixed-in particles) can give water an unacceptable taste, smell, or look. Whether turbid water is harmful or just unattractive depends on the material present. For effective potable water treatment, it’s important to carefully analyze source water and then tailor treatment to specific water conditions and standards. Many time-tested water treatment processes are still in use today in primary treatment stages. The history of water treatment goes back thousands of years, as far as Minoan civilization, circa 1700 BCE, and the ancient Egyptians, who first used alum flocculation and sedimentation to clarify water circa 1500 BCE. Sedimentation is allowing particles in turbid water to settle. Alum and other “sticky” additives known as polyelectrolytes aid the settling process by flocculation, or sticking particles together into “flocs.” Flocculation and sedimentation with clarifiers is common in water treatment plants. The understanding of microbiology that came with the work of Dr. John Snow and Louis Pasteur in the 1800s had great implications for water treatment. Research connected turbidity to pathogens, and sand filters were first used for treatment of a public water supply in 1829 London. Municipal water systems in the United States followed suit in the early 1900s, and the process of filtration with layers of sand, gravel, and charcoal remains widespread today. But disinfectants like chlorine in America and ozone in Europe played the largest role in ending epidemics of waterborne diseases such as typhoid, dysentery, and cholera. Today, municipal water supplies routinely prechlorinate to prevent algae and biological growth, or chlorinate in the final stages of water treatment. Chlorination in conjunction with aeration is also used to remove dissolved iron, and aeration effectively removes volatile organic compounds (VOCs). Other disinfection methods include ultraviolet (UV) light and pH adjustment. In modern times, advances in technology have built on the foundation of older treatments. For example, aerobic processes have long been the mainstay of wastewater treatment, particularly for sewage and other waste streams high in organic or biodegradable content. In aerobic processes, microorganisms that thrive in oxygenated water break down organic contaminants and remove nitrates. The newest and most efficient aerobic treatment is found in the membrane aerated biofilm reactor (MABR), which uses up to 90% less energy for aeration, the most energy-intensive stage of biological treatment. In MABR, simultaneous nitrification-denitrification takes place in a single tank that holds a spirally wound, air-permeable membrane. Aeration takes place at near-atmospheric pressure. MABR, which is notable for its high effluent quality as well as its energy savings, is available to retrofit existing plants, as well as in small, packaged systems suitable for decentralized treatment strategies. Decentralization places smaller plants near the point of use, eliminating the need for huge, regional plants and the costly pipeline networks that are financially out of reach for many regions. Other water purification processes that use membranes have made significant strides since the 1970s and 1980s, including in reverse osmosis filtration. Modern filtration in reverse osmosis (RO) is accomplished by forcing pressurized water through a membrane that is semi-permeable at the molecular level to exclude unwanted solutes. One common way RO is used in the production of potable water is through desalination. Advances in the mid-2010s increased its energy and cost-efficiency. Modern desalination plants are producing about 50% of Israel’s potable water. Higher recovery rates and lower consumption of energy and chemicals have made desalination much less expensive. Now desalination is available in scalable and quickly deployed Smart Packaged options suitable for decentralization. Anaerobic digestion, a biological treatment process that relies on microbes that flourish in the absence of oxygen, is now used to remove organic material and trace organic contaminants (TOCs) generated by human activity. TOCs accumulate by biomagnification and bioaccumulation in organisms and cause irreversible damage in humans and animals by disrupting endocrine systems and causing tumors. During the anaerobic digestion process, microorganisms break down organic compounds, creating a biogas that is mostly methane. Waste-to-energy systems can also be installed to collect the methane and use it to generate energy. Ion exchange, a chemical process that exchanges unwanted dissolved ions for similarly charged ions, is used extensively for potabilization in processes including water softening, demineralization, dealkalization, deionization, and disinfection. Specialized ion exchange resins targeted at specific contaminants like nitrates, perchlorate, and uranium also have become increasingly popular for potable water production. Potable water is fundamental to human life, and we can expect it to be a growing issue for the foreseeable future.